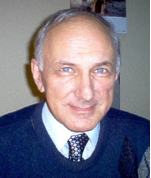 Dr. Liviu Dragomirescu has a BS degree in Mathematics 1973, University of Bucharest, and PhD in Mathematics, 1988, Center of Mathematical Statistics at the Romanian Academy, dissertation “Contributions on numeric taxonomy in biology“. Working as computer programmer, he authored a multivariate data analysis software package designed for the entire Romanian research community. He was trained as biometrician at the Victor Babes Institute and at the Center for Anthropological Research of Romanian Academy. He obtained TEMPUS scholarship Bruxelles, Belgium (1993), IREX scholarship at Columbia University, USA (1996). He is Associate Professor at the University of Bucharest, since 1996. He was the first to introduce Neurofeedback technique in Romania,under the supervision of Dr. Ibric. Initial courses were designed for the Polytechnic University students starting in 2003, followed by the University of Bucharest-Faculty of Biology, as Master in Neurosciences Program in 2008. Through these programs he coordinated, the first 4 dissertations in Biofeedback or Neurofeedback in Romania. Dr. Dragomirescu is member of 6 International and 3 Romanian professional associations. He published 8 books (2 in several editions), co-authored the chapter “Neurofeedback in Pain Management” in collaboration with Dr. Victoria L. Ibric, in Introduction to Quantitative EEG and Neurofeedback – advanced Theory and Applications, Academic Press, 2009, 53 papers (18 in international journals), 18 research reports (1 in the US), over 100 presentations at conferences (24 in the US and Europe). Over 10 papers and oral presentations were in collaboration with Drs. Victoria L. Ibric, William J. Hudspeth, and Siegfried Othmer at ISNR or AAPB conferences, or in Romania. He published in the Journal of Neurotherapy and in some Romanian Scientific Magazines, and had been interviewed by BBC radio about Neurofeedback.